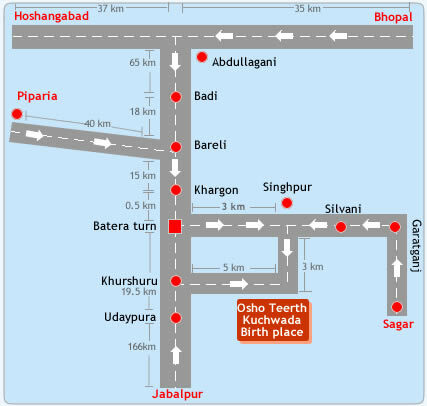 For visitors from a distant place, from Delli or Munbai, please take airplanes, by Jet Airway or India Airline, and get to Bhopal airport. Commune is located 2 and half hours by taxi from Bhopal airport. 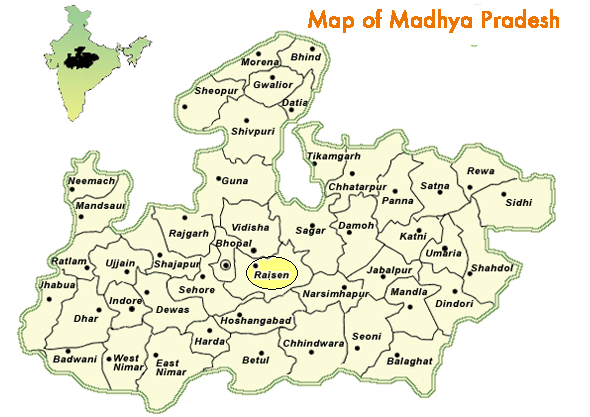 It is located 140km from Bhopal, 60km from Piparia station, 60km from Raisen. Nearest station is Batera Teertha Station. Please take a bus for Jabalpul from Bhopal, and get off Batera Teertha Station. Middle of left side of the photo is commune, Osho tirth trust Kuchwada. Osho’ s birth house is about 500m from commune.